Whenever I see tourists on Segways, I secretly wish I was the one cruising about town on the awkward two-wheeled device while wearing an unflattering giant helmet. Aside from how silly riding a Segway may appear, the experience always looks fun and I’ve been wanting to give it try. My time finally came when Experience Columbus offered the opportunity to join up with Segaway Tours of Columbus for a two-hour urban excursion. The first 15 minutes or so were spent learning how to ride the Segway. The only tricky part was keeping my balance when first stepping up onto the platform. Once I learned the techniques for going left, right, and stopping, it was a cinch to zoom around the parking lot like a pro. 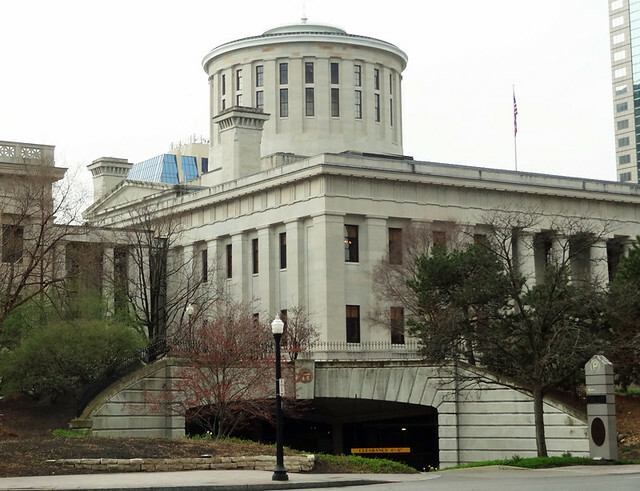 Following the tutorial, our group headed downtown, looping around the Ohio Statehouse. The first time I saw it, I didn’t even realize it was the state capitol building, since its dome is different from the typical capitol dome. Good for you for being unique, Columbus. Our guide offered insightful information about each major building and attraction we passed. I had no idea that Abraham Lincoln’s body was put on display in the Ohio Statehouse after his death in 1865. Following the downtown experience, we headed to the Scioto River, following a riverfront path. One of my favorite parts of town we passed through was the new Arena District, where we saw Nationwide Arena, home of the Columbus Blue Jackets, the city’s NHL team. I’m still a Penguin fan, but you have to root for the underdogs in Columbus. It was disappointing to see them come so close to a playoff spot this year and miss out. Not far from Nationwide was Huntington Park, the home of the Clippers, the city’s minor league baseball team. 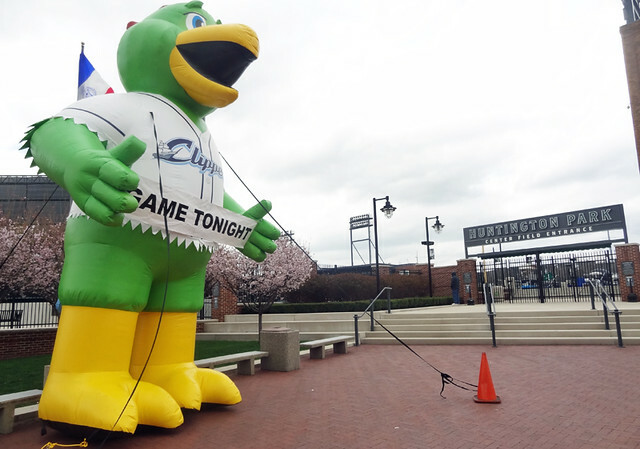 This blow-up figure reminded me of the Phillies’ mascot, but the Clippers are actually a Cleveland Indians affiliate. Also nearby was the former arch from Union Station. There’s a fascinating story behind this. Union Station was a grand structure that served visitors for decades, but by the late 1970s it was obvious the train station was no longer necessary. 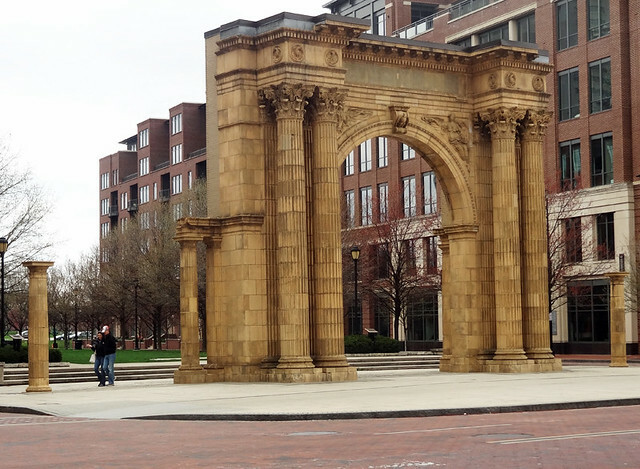 The station was torn down without warning, but preservationists managed to stop the demolition in time to save the entrance arch, which still stands as reminder of the city’s past. After moving past the North Market, one of my 8 cool places to go in Columbus, the Segway tour wound down by passing through the Short North, the city’s most eclectic ‘hood, and into Goodale Park, where I saw people doing everything from walking near the fountains to playing frisbee and slacklining. Would I recommend the Columbus Segway Tour? Absolutely. 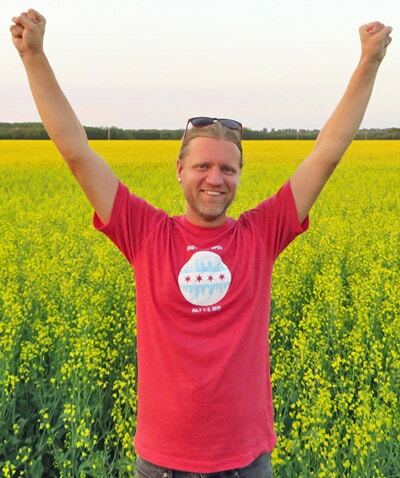 I am not someone who necessarily gives praise for these sorts of tours easily – in fact, I strongly suggest that visitors to Chicago not take a Segway tour, because the city’s best parts are too spread out, and on a Segway you’ll be stuck either downtown or along the lake, seeing such a small percentage of the city that it’s not worth your time or money. But Columbus? 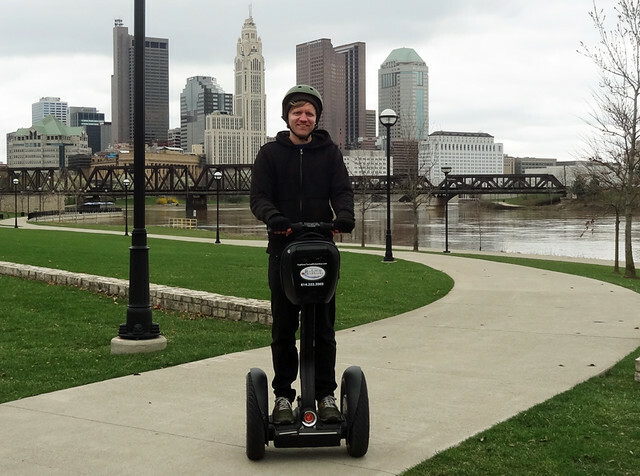 Columbus is the perfect city for a Segway ride. Many of the cool neighborhoods are situated in close proximity to each other, so it’s easy to swing through all of them on a single tour. In less than two hours, I learned a ton about the history of the city and got a glimpse of the most interesting parts of town. 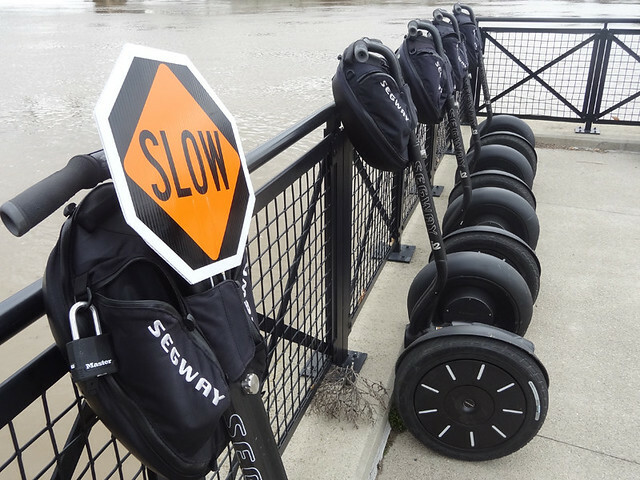 Have you ever taken a Segway tour? Scott Shetler is a Seattle-based freelance writer & fan of indie rock, road trips, ice cream, squirrels on power lines, runaway shopping carts, and six-way intersections. Looking for a hotel? 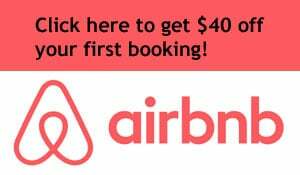 I always recommend Booking.com where you can easily compare hotel rooms, prices, and availability. Some posts on this site contain affiliate links, which may earn me a commission (at no extra cost to you) if you make a purchase. This was soooo fun! My teenager enjoyed it with me. Love the fun facts. Love riding the Segway. Thanks for reading, Mindy. Segways are a lot of fun. They’re so effortless. So you’re one of the “lovers” they talked about on the tour! 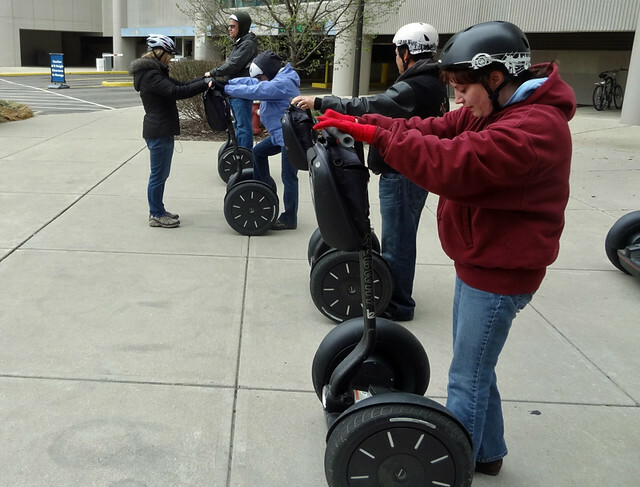 There are lovers and haters when it comes to the Segways… definitely more lovers, though. Ive never been on a segway tour, but i must admit when i see them i think the people look rather silly. Although glad to see you got over that and managed to enjoy your tour. They do look like a great way to get around rather than walking for miles and miles everyday! It’s so easy to get around on them. I love urban hiking but I was still able to go a lot farther on the Segway tour than I would have been able to do just on foot. I’ve never tried a segway tour, but I like the arch in the middle of the street. Good for the preservationists for preserving it. That was one of my favorite parts. I’m glad they told us the story behind the arch. You should give it a shot sometime, Stephanie! I have taken a few Segway tours and think it’s a GREAT way to see a city. I thought that in Barcelona I might be a bit embarrassed scooting through the town, but I was so grateful for not having to hoof it! 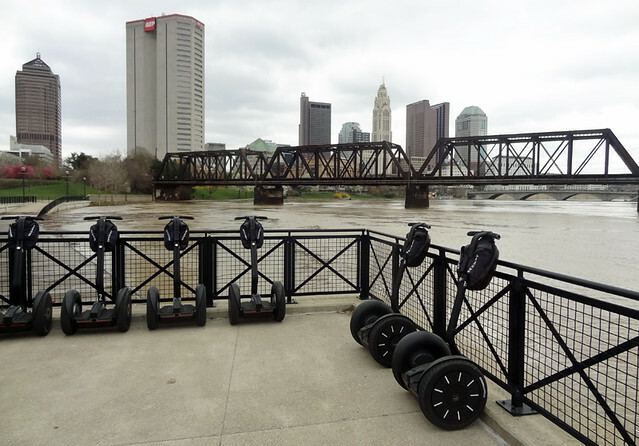 I took this tour as well 🙂 You’re right – Columbus is just about right for Segway tours! I remember seeing your post on that one Adam. 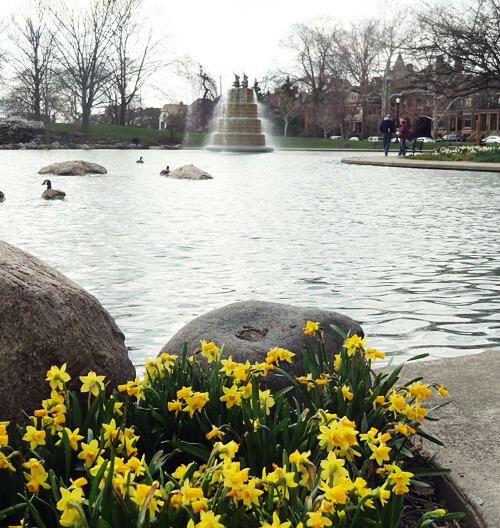 Hopefully your tour wasn’t as frigid as mine… it was a chilly afternoon!